What is the Omnisphere Theater? The Omnisphere Theater features the state-of-the-art Digistar projection system from Evans and Sutherland. With its high-resolution Sony projectors, this system provides the versatility of full-dome video at ultra-high resolution and real-time 3-D modeling. This system makes the Omnisphere one of the most advanced planetariums in the world. The Omnisphere staff also produces original full-dome shows for distribution to similar theaters worldwide. What happens in the Omnisphere? The Omnisphere Theater is primarily used for planetarium shows. Most of the shows begin with a Star ID, telling you what is in the night sky in the current season. Shows span from learning about the history of the telescope, exploring volcanoes, children’s shows to futuristic experiences about what going to Mars might be like! The theater is also used for our Astronomy Nights, talks by astronauts and other guests, and for Music Under the Dome events. Astronaut: Experience a rocket launch from inside the body of an astronaut. 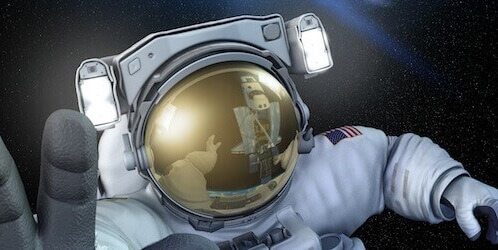 Explore the amazing worlds of inner and outer space, from floating around the International Space Station to maneuvering through microscopic regions of the human body. Explorers get to meet “Chad,” our experimental astronaut and watch him endure the perils that lurk in space. Earth, Moon & Sun:Coyote has a razor sharp wit, but he’s a little confused about what he sees in the sky. 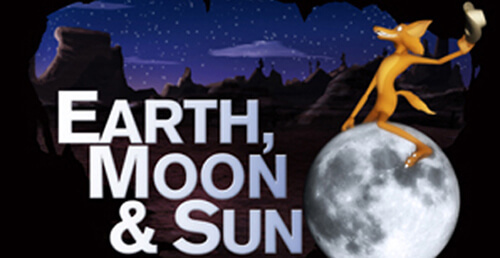 Join this amusing character (adapted from American Indian oral traditions) in a fast-paced and fun fulldome show that explores lunar phases, eclipses and other puzzles. Engaging and immersive, Earth, Moon & Sun™ also examines how humans learn through space exploration. 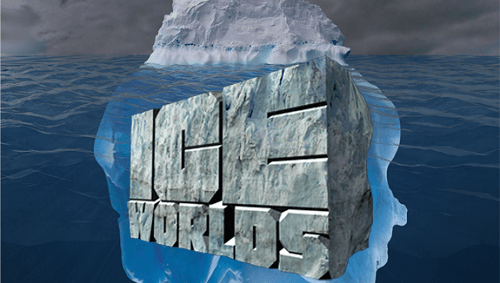 Ice Worlds: The delicate balance between ice, water and the existence of life has been a topic of exploration and discovery in science for generations. “Ice Worlds” examines ecosystems and how their survival is connected with our own. We will also see how the existence of ice shapes the landscape and the natural systems on other planets and moons in our solar system. 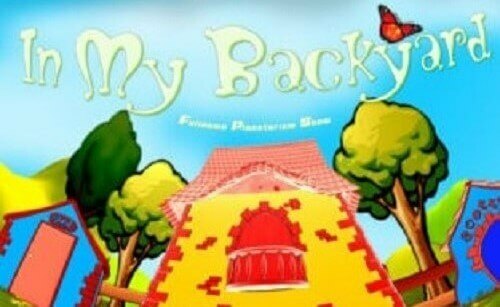 In My Backyard: Welcome back Fred Penner from TV’s Nickelodeon as he explores things large and small: from the colors of the rainbow, to reasons for the seasons and the stars at night. In My Backyard is especially designed for the youngest stargazers. 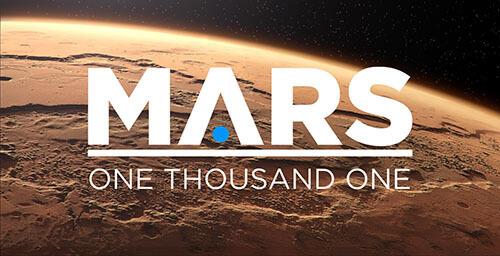 Mars 1001: From the journey of protons racing through the world’s largest particle collider in Europe to up-close views of the Big Bang and emergent universe, and the nearly mile deep descent to an underground experiment in South Dakota, this new planetarium show is designed to immerse audiences in the manifold search for dark matter. 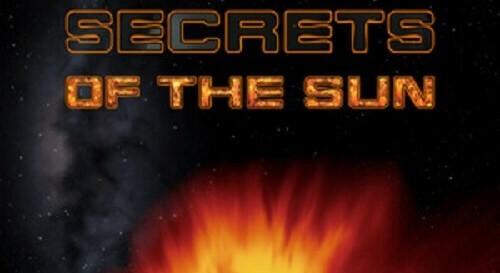 Secrets of the Sun: An intimate look at the role the sun plays in the life of our solar system. You will discover such mysteries as the nuclear forces churning at the heart of the sun to the mass ejections of solar material into surrounding space. Super Volcanoes: Feel the heat! Super Volcanoes explores rare types of volcanic eruptions that marshal the energy that lurks, like a sleeping dragon, beneath the surface of planet Earth. The story of these big blow outs is a tale of havoc and mayhem; mass extinctions, climate collapses, and violence beyond anything humans have ever witnessed. In this unique immersive experience, audiences will explore the impact of volcanism on Earth and other worlds in our solar system. Can a super volcano erupt in our own time? The answer is surprisingly close to home. 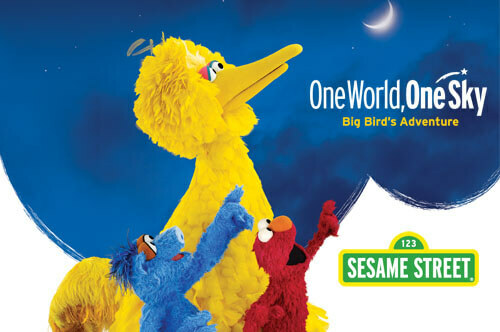 Sesame Street: One World, One Sky: A brilliant spectacle of light and color as our furry friends watch the stars twinkle over Sesame Street. Children attending the show can interact by drawing constellations and counting the time it takes the sun to set. This show aims to nurture a child’s natural curiosity about the night sky. Mystery of the Christmas Star (Holiday Show): Journey back over 2000 years to Bethlehem as we seek to discover a scientific explanation for the star the wise men followed to find the baby Jesus. 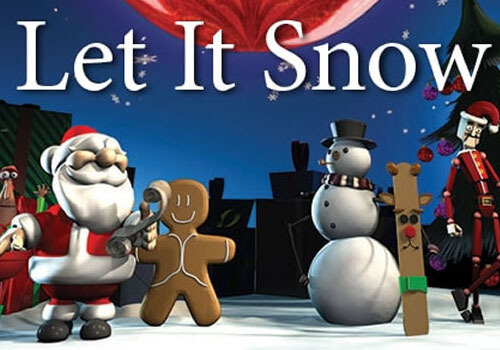 Let It Snow: Enjoy a holiday music show set to animation with beautiful scenes!